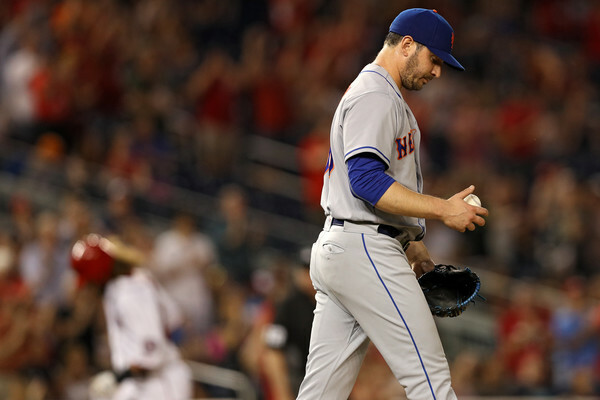 Matt Harvey was really bad again tonight and the Mets lost in Washington. This probably isn’t a 2016 fix at this point. But it doesn’t mean we can’t sit back and enjoy the New York media pressure cooker that ensues after it. It might not reach a higher point. In part of this good old-fashioned New York evisceration, Dusty Baker gets asked about Harvey’s struggles. Baker has been around the game as long as anyone, so like the writer states; he just knows. “It’s not my job to straighten Harvey out,” Nats manager Dusty Baker quipped before the game. But he’s also a guy who has been around the sport forever, who has seen and experienced everything. He knows. More than anybody possibly can, he knows how things work. You look at the pitcher who opposed Harvey tonight in DC and struck out 11 hitters – Stephen Strasburg is the name – and you realize there’s still some hope. But again, there’s too much toothpaste out of the tube at this point to be able to keep it in the bathroom. ← Previous Story Thor is finally mine; come to Papa, Thor.